Jungle fortunes are just around the corner with Big Blox slots. Watch out for the Big Block feature - which can create 5x3 mega symbols. Love mega symbols and the chance for big wins? Then you need to check out new Big Blox slots. 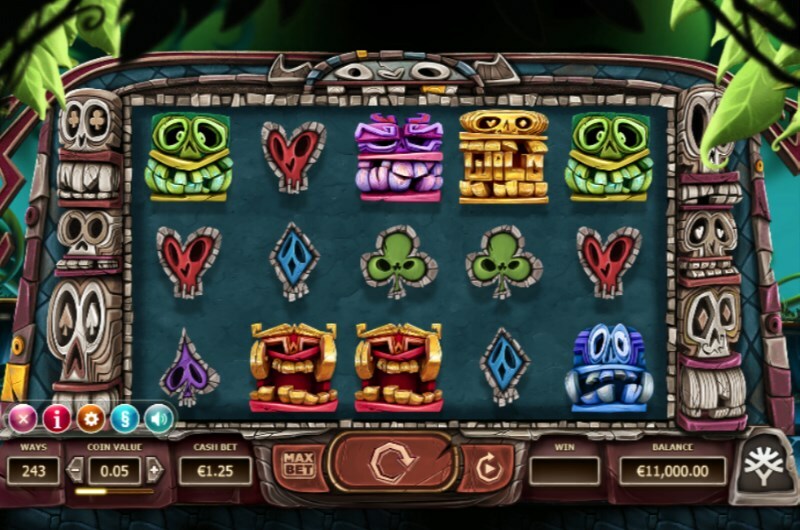 Yggdrasil Gaming's 5x3 slot takes the idea of super-sized symbols - and makes them even bigger. And this leads to some giant wins - up to 3,888x your total stake bet. This 243 ways to win game features stunning visuals. The colourful totem pole symbols contrast against a backdrop of rich jungle fauna. But you won't pay any attention to that - especially if you trigger the 5x3 giant symbol! So how does the feature activate? And what can you win? Let's take a look. Imagine landing a guaranteed 2x2 mega symbol with every spin. That's the fortunate reality of the Big Blox slots bonus. On every spin, you will land a big block symbol - and this big block can be several different sizes. The location of the big block will be highlighted by a golden square. And this is where the symbol will land. But after this golden outlay appears, it could grow in size for mega winning potential. The Big Block feature will always start as a 2x2 square - but it has the potential to fill the entire game reels for a huge 5x3 symbol. This gives you the chance of landing a15 same symbol win. This is where you will find the biggest wins in the game - with the opportunity to pick up 3,000+ your total staked bet. That's not all: the wild symbol in this slot can also grow to a gargantuan size, filling up 4x3 spaces with wilds. Once again, this substituting symbol can create some huge winning opportunities. As you can see, this Yggdrasil Gaming slot is easy to master. And if you want to play Big Blox slots, you just have to keep a couple of things in mind. First of all, this is a fixed 243 ways to win slot. And that means you can't low the number of ways to win to change your stake. To set your bet, you can change the coin value, which starts from 25p per spin. You can also choose to bet the max value of £20 per spin. In the settings, you will find useful controls to enhance your gambling session. The quick spin option, for example, is invaluable if you want to skip the low paying spins. There is also plenty of autoplay options with a whole range of different game controls. You can stop the autoplay on a win or if your cash balance increases by a certain value. 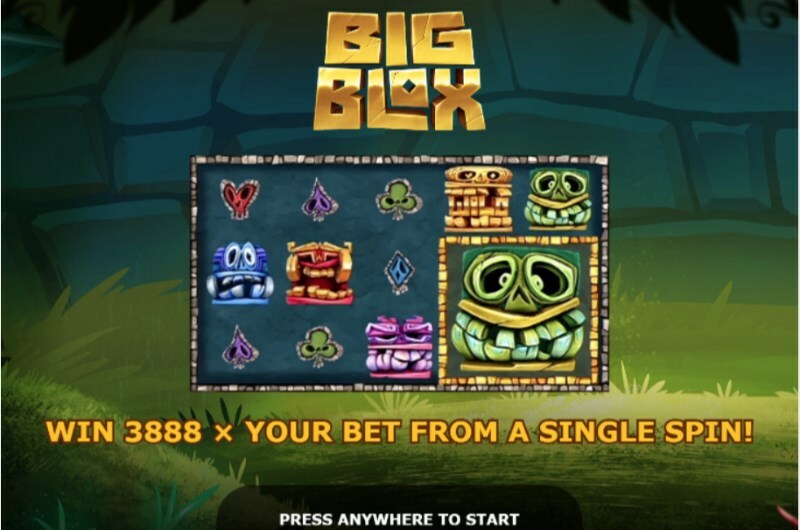 While not the most feature packed game in the slots jungle, Big Blox slots offers incredible winning opportunities. And this is all thanks to the larger than block symbols. Hitting the 5x3 max symbol win has to be one of the most satisfying things ever. To summarise: Big Blox offers plenty of fun - and you can try it right now at Mayfair Casino. Or you can read our full Big Blox slots review.